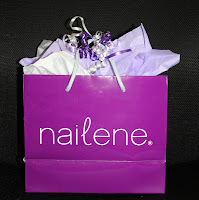 Nailene Girls: Nailene's Giveaway Winners! Thank you so much for participating in Nailene's first giveaway! Nailene will continue to do giveaways throughout the following weeks, so be sure to follow our blog & suggest our blog to your friends! Everyone is welcome to participate! Congratulations to Nailene's Giveaway Winners! If you wish to see the winner's blog, simply click on their name listed below. 5 of the 10 products from Nailene's website that they wish to receive! All other Nailene Winners will receive 5 pre-selected Nailene products! All winners will be receiving an e-mail shortly. Congratulations to all of our wonderful bloggers & thanks again for participating! Congratulations everyone! Great posts! And thanks Nailene for hosting this giveaway! Weldone to all the winners :) would love to have taken part but I don't own any Nailene products, yet! Thank you Nailene and congrats to everyone! Nailene's Product Reviews Are Still Happening!